ABOUT Kitchen Cabinets Express, Inc. Kitchen Cabinets Express Inc. specializes in complete kitchen remodeling, working with clients throughout Orange County. Our company has been making home remodeling dreams come true for the past 17 years. We hold a B and C-6 license, and are EPA and LRRP Asbestos Certified. We are also members of the NKBA and ASID. Our kitchen cabinet company is also insured and bonded, and we carry comprehensive workers’ compensation insurance in the case of an incident. We specialize in installing, repairing, and replacing kitchen cabinets. From the traditional above the counter designs to storage space underneath island counters and china cabinets, we can create any look in a wide variety of colors. Show your personal style and create a relaxing, welcoming mood with beautiful lighting fixtures from Kitchen Cabinets Express Inc. We can install simple, round LED lights in your ceiling, chandeliers, sconces, ceiling fans with built in lighting, hanging lights, and much more. We install high quality countertops made with a variety of material, including granite, tile, slate, marble, and laminate. Whether you’re looking for rich, swirling natural patterns or a smooth, reflective surface, we have the designs, materials, and colors to fit your home. We also install all types of flooring for your kitchen, including hardwood, tile, laminate, and more. With moisture resistant coatings to stand up to food and drink spills, the high-quality flooring from Kitchen Cabinets Express Inc. will last a long time. We can install any color from white to natural wood grain and much more. Create a distinctive look to your kitchen with a backsplash. These are built with tile and can be subtle and smooth or iridescent and reflective. We can install any size, shape, and color. We also install sliding glass doors and single or double patio doors. These match the design of the rest of your kitchen and can be located on any kitchen wall. Add light to the room and experience a great view of your yard while you cook, do dishes, or enjoy a meal. 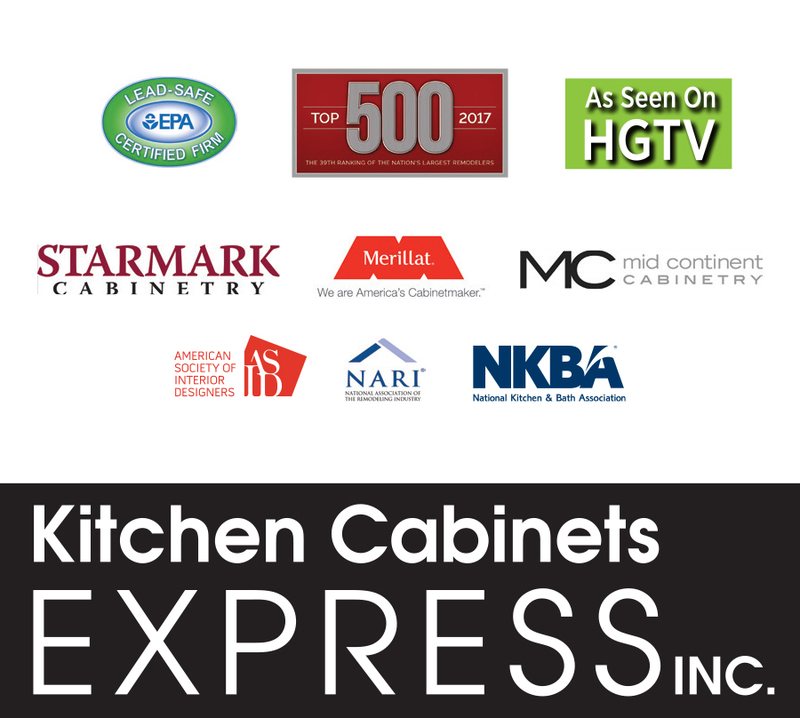 Kitchen Cabinets Express Inc. offers financing, available up to 7 years OAC, depending on your installation cost and credit score. Visit our 4,000 square foot showroom to see all of our design options and products.